Work calls and my head is just not in the game. Too much is going on this week, so perhaps a few paragraphs might take my mind off matters. As of this blog, I am getting closer to the final touches on two anthologies. Both are due out in roughly a month. The first, Welcome to San Cicaro, is an urban fantasy and horror anthology written by authors besides me. Yep, I’ve taken the job as “just editor” on this one. The other anthology, Banner Saga: Tales from the Caravan, is one story from being finished with edits. Because it’s intended as a collection of shorter Banner Saga works, a few pieces of mine will be a part of that one. The next few months will be critical. I’ve been jotting down ideas, some of which are for team-based projects that other writers and artists maybe invited to. Others are for personal novels or works I’ve been dreaming about for a long, long time… and put off. The latter point is interesting to me. Nothing I’ve ever done has been 100% mine alone. The Bolthole anthologies, The Gift of Hadrborg, and the afforementioned upcoming releases… they’ve all either leaned on others or have involved a franchise. And I feel I know why that is. One of my biggest fears is to finally hit that degree of success, only to be defined solely by that one win. I dread the thought of writing dozens of novels around the same character, never visiting a hundred other minds in scores of unique settings. To never wear a thousand masks and live a thousand lives. I don’t understand authors who are happy with revisiting the characters, again and again. I’m fine with it for a while, perhaps with one sequel. But so repeatedly? When is one satisfied? But who am I to judge. I can’t say I’ll know satisfaction after completing my own dreams. Perhaps I too will not know happiness in creation, and know not whether I seek an elusive magnum opus or pray that it is illusive. Oh. Yeah. And we’re closing on a house tomorrow. Generally, high fantasy is not so much to my taste. The standard was primarily set by The Lord of the Rings, and everything else since then has often paid homage to that trilogy in some shape or form, often reusing many similar tropes. But sometimes, the reuse of familiar material doesn’t matter. Sometimes its just the quality of what or how the story is told that keeps the audience in their seats. Once, Manuel mentioned Record of Lodoss War as an anime that inspired him. The series is quite Tolkienesque in nature, with many races and elements akin to Dungeons and Dragons. You may find the tropes very familiar. For many fantasy franchises, there’s a kind of chicken-vs-egg origin question. Sometimes it’s a story that inspires a game, which tries to relive or create new scenarios to expand those adventures. Other times, the game is weaved around the gaming system itself. Record of Lodoss War is the latter of these two, coming from a looser role-playing system called Forcelia. From this, Ryo Mizuno wrote several novels, which expanded into a few games and three separate anime series of varying quality. Of these anime series, I’ve enjoyed watching the very first. And I have seen elements of the second OVA series called Record of Lodoss War: Chronicles of the Heroic Knight, whose opening can be viewed below. The first series really did create a traditional RPG party. The main characters were a knight, a dwarven fighter, an elven shaman, a priest, a magician and a thief. No, really. The one-hundred percent traditional, balanced party you would otherwise only see in video games was in fact the main cast of a 13-episode television series. Record of Lodoss War went back and forth from lighthearted to dark. You had tender scenes where naive knight Parn hit it off with Deedlit on the dance floor. In another scene, you see a man killed by… I don’t even know how to describe it. He turned purple and collapsed violently. Magic? Vicious poison? Who knows. But there are other high fantasy elements such as prophecies and enormous dragons. I suppose if you like traditional high fantasy and don’t mind large anime eyes, Record of Lodoss War is your thing. Back in the days of the SNES, Squaresoft came up with a stellar idea for a Legend of Zelda-like action/adventure/RPG. Their concept? A three-player game, more about the collusion of magic and nature against technology and industrism, aging traditions clashing against expanding imperial powers. The past against the future. If you’ve ever seen Ralph Bakshi’s unusual film Wizards then probably have a some idea. The story surrounded a boy who accidentally drew a sword from the waterfall near his home, acting on “Chosen One” trope. This otherwise innocent act unleashes a series of monsters and problems throughout the land. The boy is banished from his village and sent to solve the world’s dilemma. Along the way he is joined by a girl trying to save a warrior she loves (a nice flip on the “Save the Princess” trope) and a sprite. By sealing eight seeds of Mana, they will be able to restore balance to the world. 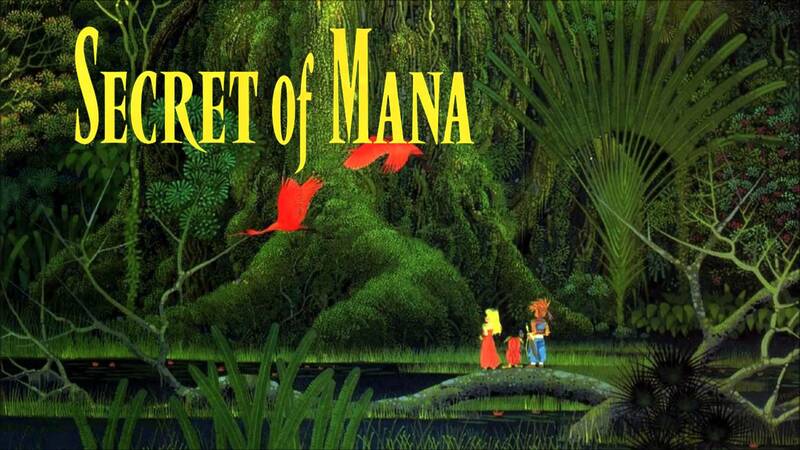 Unfortunately, the (Evil) Empire seeks the secrets of Mana for themselves to unlock the Mana Fortress. I’ve only played one of the Tactics Ogre games, but it was good. Damn good. 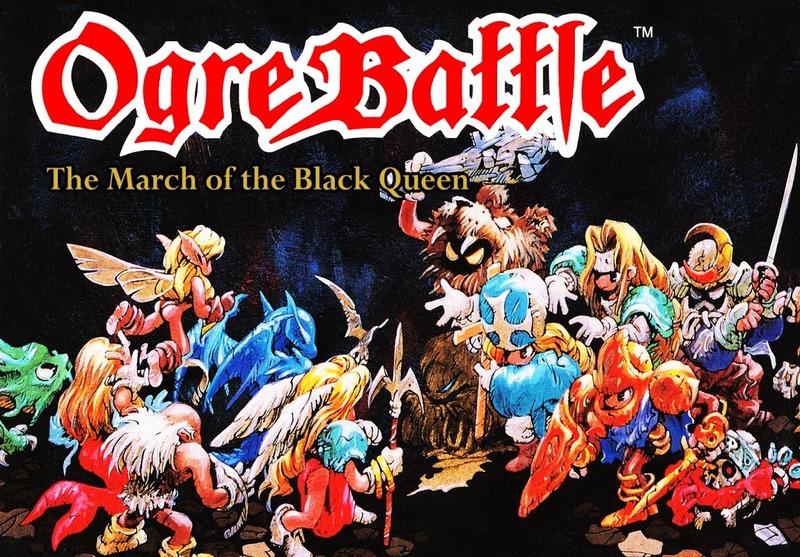 That particular game was Ogre Battle: The March of the Black Queen by Enix. The game oddly mixed RTS elements with traditional RPG details, but did so simply and quite well. The game’s plot focuses on a rebellion to overthrow an Empress who took control of the continent some 25 years earlier, but thickens a little bit after they succeed. An intriguing point mentioned on the Wikipedia is that the game was partially inspired by the Yugoslav Wars of the 90s. The gameplay of the series was relatively simple. You organize multiple parties of up to five ordinary soldiers. They can be moved about the map, and when they come into contact with a foe they will engage. Battle was simply a set of rounds, with each character fighting pretty much on autopilot. Units cost money, which is raised every day based on the number of liberated towns and temples. Given the mouse-like user interface, I’m actually surprised it has not yet been ported to mobile devices. There was considerable depth to the SNES game. As soldiers survive, they can be promoted to other classes and gain interesting new abilities. There were some 75 different classes they could become. Tarot cards were collected throughout the campaign, each possessing unusual, powerful properties that could alter the course of battle. Characters could also become evil or good on a scale from 0 to 100. This effects battle, as good characters fight better during the day while evil ones during the night. Between this morality scale and several choices in the game, there were 13 different endings. These features were somewhat ahead of their time, making Tactics Ogre: March of the Black Queen easily one of the most interesting approaches to the RTS genre. When you say old school fantasy, you usually cannot get more traditional than Lloyd Alexander’s five-book series, The Chronicles of Prydain. In truth the series is a hybrid, blending elements of high and dark fantasy with Welsh mythology, yet staying at the Young Adult reading range. Folks may be somewhat familiar with the series thanks to Disney’s movie The Black Cauldron, based on the first and second books and named after the latter. Taran is a pig boy who dreams of a bigger life, yet is charged with the care of an oracle pig named Hen Wen who escapes after a frightening vision. Taran pursues his charge and is accidentally thrust into the conflict between the House of Dôn and the Horned King, followed by his master Arawn. Over the series, Taran grows into a man, particularly during the fourth book during which he travels with only the man-beast Gurgi. 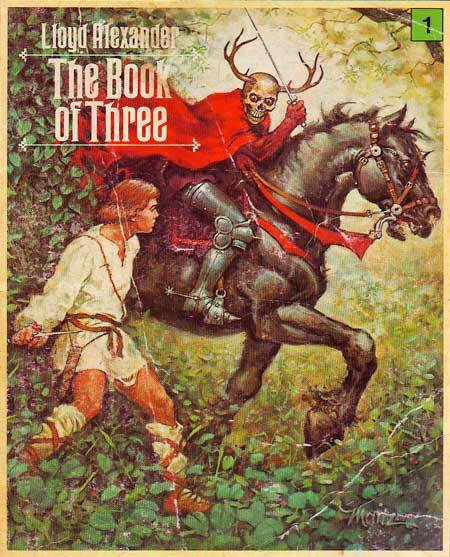 The Chronicles of Prydain is one of the earliest dark fantasy series I’ve ever read, and what turned me onto the genre long before Berserk or the Diablo series ever came to my attention. The brilliance of course is that it’s still made for a younger audience, so the quintology manages to possess many thrills and foreboding sense of dread while never becoming so terrifying as to offset its readers. Admittedly, The Last Unicorn almost made this spot. The reason it didn’t was due to the release of a new edition, which returned the movie to the public’s eye yet again. Created by Hanna-Barbera, The Pirates of Dark Water take place on the ocean-covered world of Mer (French for sea.) The planet is suffering from a black substance that leaves whatever it touches barren and dead. Yet scattered throughout the world are thirteen treasures which can dispel this toxic mass. Ren, a boy raised as a lighthouse keeper, is charged with finding and reuniting these treasures. Joined by a few unusual allies, Ren is opposed by Bloth, a rival pirate captain who seek the treasures in order to control the dark water for his own gains. Although the series lasted but 21 episodes and ended before the story’s completion, the show must be praised for its daring and bold vision. Its influences fly against the orthodox medieval European settings common in most fantasy series. 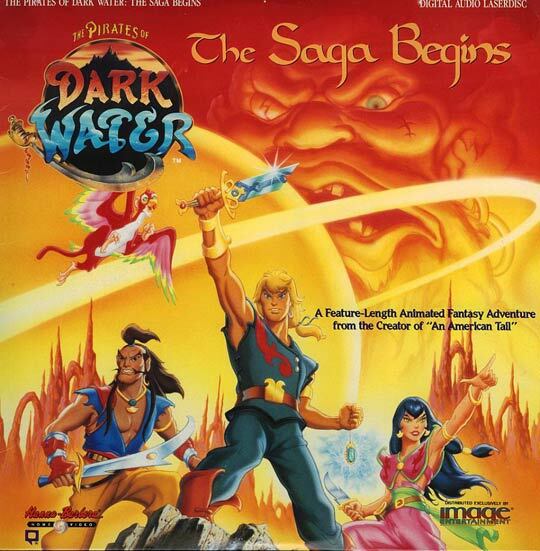 Rather, The Pirates of Dark Water feels like a cultural creole of many Asian countries. The clothing, weapons and even character designs all borrow historical hints from Korea, China, Thailand, Japan and several other countries. It’s a shame that it was cancelled before its time. Coming down off the high of writing my first novel, I’ve returned to short story writing. I picked out four submission windows which interest me. Amusingly, I’ve jumped the vein of crime and horror writing and have been focusing my time more and more on fantasy, and am keeping an eye on science fiction. This was all part of my plan to alternate writing “what I know” and slowly expand and improve on what I don’t. Of the four submission windows, two are fantasy, one is modern-meets-fantasy and the last is military science fiction. These days, it’s important to mention the intended sub-genre. Especially with fantasy, lest the editor be swarmed with Western medieval stories. I’ve long begun my research on the cultures of one particular story I have in mind and the pieces are coming together slowly. But while I was at a family reunion for the fourth of July, a story came to me like a bolt out of the blue. The idea had everything I really need: The characters, the plot, the themes. What made me laugh was that this story idea was for the genre I am least ready for: Science Fiction. It’s been three years since I last attempted an independent (as in, not built on any pre-established intellectual property) science fiction story. After my last rejection, my friends explained to me that the intended publishers are tremendous believers (not just fans) of Star Trek. That it was the greatest sci-fi show ever concocted. Since then I’ve figured that you can really learn a lot about a person from the kind of sci-fi they like. I’ve wondered why that is and I would guess that as “science” is seen as a measurable metric of progress, science fiction can easily emphasis a positive view of the future. It’s not difficult to see science for the acts of technical, biological or chemical engineering. But stories have also investigated application of the scientific method on politics, history, sociology and exploration, some of which take us off the desired path. I’ve barely saw more than a few scenes of the original Star Trek television series. But I have watched the original six movies, and both the movies and several episodes of The Next Generation. And yes, both of the J.J. Abrams films. The universe is surprisingly optimistic about our species, as most of the problems tend to revolve around foreign crises, the occasional distress call, time traveling to fix or prevent problems. Intra-humanity problems often take a backseat to Klingon aggression or Borg threats. Sometimes I wonder if there isn’t some humanitarian pride hinted with Star Trek, as the Federation tends to cast us as a fairly advanced species compared to many of our war-inclined galactic neighbors. Although to be fair, I think most of its fans would stop short of saying the series depicts a total utopia. But if Star Trek is the pinnacle of our views as to what humanity can be, every franchise, book and movie after that slowly steps down that scale, away from the suggested, bright future. 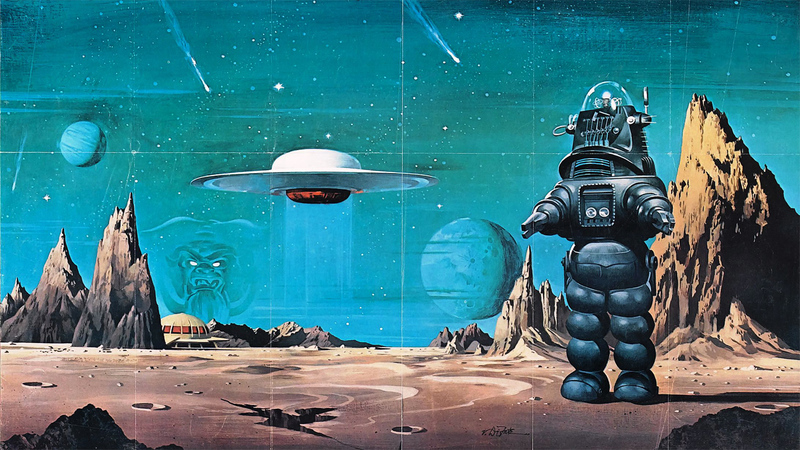 I think from there, one could go down the list and classify each kind of science fiction for each kind of person. Very often, I suspect that it’s less about whether or not people are into sci-fi as a total genre and more about whether the sub-genre is to the audience’s taste. People who would roll their eyes at Star Wars and Star Trek could very well love Blade Runner or The Hunger Games, while never realizing that the latter is post-apocalyptic and both are varying degrees of dystopian visions of the future. Likewise, I remembered an amusing article which reminds us all that the family friend film Chitty Chitty Bang Bang is steampunk. So try to keep this in mind when working with your lab rats beta-readers to best figure preferred genres and tropes. When it comes to publishing work, I like this pace. The year is going to end with an explosion of new work. Two pieces are already in the bag for Cruentus Libri Press. Another work, the anthology by the Bolthole, should be out either on time or very close to it. Finally, there is one more piece of work that has been turned in to Cruentus Libri, that has received the thumbs up from two reviewers. If that final piece gets published, that’s six finished works before 2013. Although I am pleased, it is a good time to stop, check the map and consider the direction I am taking. All six of these pieces have been horror, which I enjoy writing. I prefer a mix of darker and more subtle horror stories, with a willingness to explore themes rather than enact gore fests. Many of my friends have also pumped the breaks, declaring that although they are enjoying our work, they do not wish to do horror for the rest of their lives. Rather, their interests are towards varying forms and degrees of science fiction. Myself, recall that I have neglected my dark swords and sorcery tales. They remain untouched since sometime late last spring. Once the anthology for the Bolthole is complete, a break is due that will probably last until the new year. Although I’ll probably continue to send work to Cruentus Libri, I may start searching for other, non-horror publishers to submit work towards. I’ve tried before and it seems more difficult to try with science fiction or fantasy. I cannot say why horror seems so oddly forgiving. Perhaps they are just more open to the various definitions of what constitutes horror. But, I feel the need to challenge myself. And that is what I will endeavor to do.